Unfortunately we didn’t fly away somewhere for vacation this week or book ourselves into an exotic resort. We are on vacation though and not at home and it feels good to get away. The good news is that we aren’t going near any grocery stores. One of the hardest things for us to do this past week was trying to eat up all of the fruits and vegetables in our fridge. When you go on vacation the last thing you want is food rotting in the fridge causing waste and costing you money. The process of rotting fruits and vegetables is called heat of respiration. What happens is the more fruits and vegetables in your fridge the harder it is for your fridge to maintain its temperature. Fruits and Vegetables in a controlled environment like your fridge will give off heat as they start to decompose, so not only will the produce spoil but you’ll be paying more to keep bad food if you don’t clear out the fridge. I think near the end of the week we had eaten so much fruit and vegetables that our 5 a day quota was more than met and our vitamin levels should be good for a while. What we learned was that we shouldn’t buy so much food before we go on holidays. That way we won’t have to worry about having to eat it all up, and fast. A sure-fire way to save on groceries is to go on vacation because you simply don’t have to go into the grocery store for food to cook. It’s been a bit since we’ve actually not gone into the grocery store for a full week so it will be a nice change for us and hopefully get us back on track with our no-shop weeks. It seems like lately even on no-shop days that we are always running out of something so that means we need to work on better grocery planning so that doesn’t happen. One of the number one items we run out of is milk but other than that if we can conquer keeping on top of making sure we are stocked on food we can keep the no-shop weeks going all year-long. It’s important for us to balance how often we go into the grocery store because we find the more we shop the more money we spend especially if we didn’t intend to. 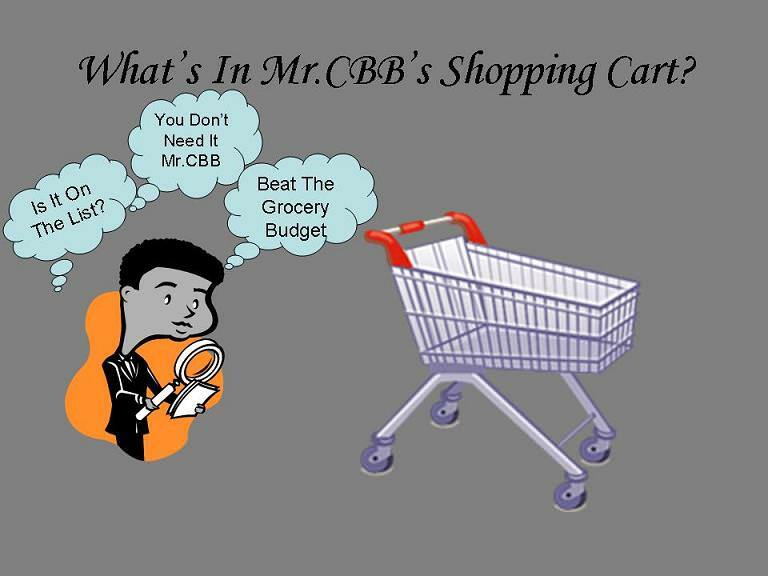 You and I have talked about why it’s important to take a step back from going to the grocery store so much and how it can cost you more money in your grocery budget even if you have the best of intentions. You have all had the intention of going into the grocery store for one thing but come out with 10 so sometimes a grocery store vacation is the best way to save even if you don’t actually go on vacation. This week we are on holidays and gone out of town for the week so no shopping for us. There are some benefits to using up the food in the house, it certainly cleared out the fridge for us which left it easier to clean the inside. On the cleaning front, we also did the usual pre-leaving house cleaning, just in case burglars break in we want them to know that our house is clean and our stuff is worth stealing. Clean items are easier to sell off once you’ve stolen them. Once your ready to leave the house, for some reason I will do exactly what my parents used to do and check the locked door 3 or more times just in case it has suddenly become unlocked. What strange or unusual habits do you have when going on holidays or a well deserved break? Do you use up everything in your refrigerator before you go on vacation? Do you plan your grocery shop before you go on holiday so you don’t have food waste? Free Money Saving Downloads is lists that were created to get us on track to work towards reaching our budgeting goals. Get organized with a freezer inventory, meal plan, shopping list, price comparison list and much more all for FREE. Weekly Overview: So far so good since we have not been in the grocery store this week. Kids Eat Free- Is it a restaurant lure to eat out targeting parents? This was my easy week as it was Thanksgiving and I had my turkey already. We had lots of turkey leftovers and there is stock and meat in the freezer now for at least 3 more meals!!! This is on top of 2 lunches and 4 dinners off that bird!!! There were a couple of good sales at Foodland I picked up too!!! All shops were there this week. I was under for this week thanks to all those meals I got from the turkey. I even managed to do a little stocking up with the butter and cider mix. I still need to do more stocking up as meat is very low here. We don’t eat a whole lot of meat but still some, hubby and the boys love the meat so I try to get what I can as cheaply as I can. 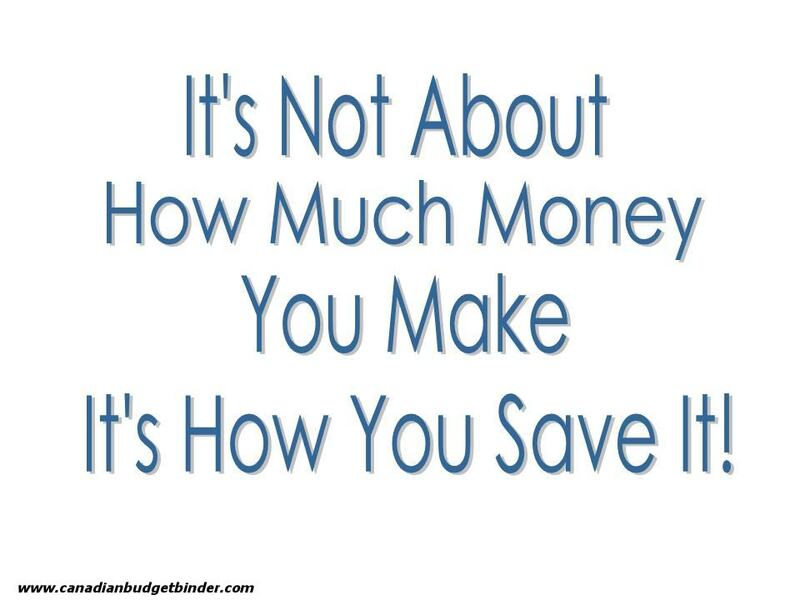 I don’t have a lot left for the month but I will work to get what is needed and keep the cost as low as I can. Another trip to No Frills is in the books… I will try but may not make it under the line… but I will be trying to keep it as low as possible!!! Our weekly budget is $100 making this month $500. Had an awesome week!! Glad to stock up on a few things, as I am looking to stock up enough to last a year or maybe more, and grab a few xmas gifts which I will keep picking up while I can still stack and get for almost free. But we gotta do a no shop week or close to it as possible next week because we have to save for our trip next weekend visiting the kids and well money was just really tight this week. Hmm….i havent posted in quite some time! Thought i would try to get back in the game. The reason i haven’t posted since returning to work well besides lack of time is a complete life change. Myself and my husband decided to completely change our diet and lifestyle due to some health circumstances we were seeing our very good friends go through. We have recently changed to organic and free range which caused my previous budget of 125 to go out of whack as those are more expensive. I have finally managed to get a good handle on our budget which is why i would love to jump back on and join the game!! I now budget between 150 and 175 for a family of seven. (Myself, Hubby, 5 year old, almost two year old, 2 dogs and a cat!) So here goes!! I will eventually get back into the proper format!! so far this month i have been under budget. i was lucky a few weeks ago to score a ton of great priced meat at zehrs so i stocked up the freezer so haven’t had to buy much. by cutting out pop and most junk food we have been able to afford this change. I had planned to do some grocery shopping in the US this week but we have no room in the fridges! Now isn’t that a tough problem to have? LOL I pushed the shop back until the 27th and hopefully can make some room before then. I need to get rid of some of the extras that we have from our Thanksgiving celebration. We did find a few amazing sales here in Canada this week though and it was worth going over budget by $3.69 to get in on the sales. I mean look at the price of the potatoes and carrots! Even in the US I rarely get bread for Larry at 89 cents a loaf! I’m like you when I see a good deal but I have to have somewhat of a plan like you do here. You will have 2 no shop weeks but one shop will be US so as long as the plan is in place it makes me feel better. I just don’t want to get stuck like that one month but it’s hard. I’m not sure about this weeks shop and how over we went but I’ll be working on that today. We might end up with no more shops for the month but we are fully stocked. You love your avocados like we do as well. How do you like to eat them the best? We just chop them up for salads or make guacamole once in a while. The potatoes and carrots were a great deal so I don’t blame you at all. How long would 10lbs of potatoes last Larry and yourself? For us it would take us the full month to get through. Keep at it.. you get ballot 7. I use 1/2 avocados as serving dishes for things like egg salad, chicken, salad, tuna salad… it makes a complete meal! I do like them in salad or on a BLTA or just plain sprinkled with a little salt. Guacamole is good too, but they always seem to find my mouth before I get that far! LOL 😀 Potatoes… well now that soup season is here… they’ll be gone within the month. Ya same here especially when they are nice and ripe… my mouth finds it first. I drive my husband crazy when we’re getting ready to go. He’s a spur of the moment kind of guy, I’m a planner. He thinks we should just throw a few things in a bag and go, if we’ve forgotten something, we’ll pick one up on the way, his focus is entirely on getting on the road. I always write lists and lists planning our packing and preparations. Depending on how long we’re going away, I like to have the perishable food used up before we go, the fridge wiped out, pantry straightened all in preparation for doing groceries upon return. I like to have the house clean and tidy before we walk out the door – generally I’m not in the mood for general housework after traveling and its nice to walk into a nice house. AND all the laundry has to be up to date – even if it means a few items go thru in a small load and then hiffed into the dryer as we leave. I know it probably sounds very OCD but I love coming home to an evening off from housework. If I’m a really smart cookie, I also organise an online grocery shop to be delivered either later the same day we get back or the next morning. AND always leave a bottle of wine in the fridge to enjoy to wind down after travelling. In my defence the first time I went away with my hubby, he decided we would go camping and to leave it all up to him. He forgot tent pegs, only packed one sleeping bag (his), canned food but no can opener, no torch. Of course, we arrived after dark so the no torch problem became very apparent very quickly. Eventually we decided to find alternative accommodation for the night BUT GUESS WHAT? He’d left his wallet behind. Oh man, this was the funniest comment tnoight Moni… lol.. awesome ..
We also try to use up all our food before we go away on vacation. We leave for 7 months at a time, so we always have the pickles, condiments, and a few onions left…so we tell our kids if they want them, to help themselves. While on vacation, we housesit for others who are going away on vacation. They always tell us to use up any perishables, and to help ourselves to anything else. We just stick to the stuff that won’t last until they return home, like eggs,fruit and veggies.While we housesit, we have a portable pantry of food basics, and refill it as required. Enjoy your holiday!!! With the turkey I’m looking to keep groceries low this week as we enjoy all those yummy leftovers! You have your little habit when you go away… Hubby used to drive me nuts back when the kids were small and his parents still with us. Whether it was going for a couple of days to their place in St Catharines or the cottage up on Manitoulin , I was the one that had to get everything ready and load it all into the car as well as the kids loaded while he stood around getting underfoot. He would wait untilI had everything and everybody in the vehicle…..then he would decide he had to check the oil in the car. He’s known for days we were going, he stood there watching me get everything packed and loaded and once that was done he decides the oil needs checking… He couldn’t have done it in the couple of days before!!!!! Heaven forbid…that would make too much sense!!! I complained to his mother about it and, yes, his father did the same thing. Drove his mother just as nuts!!!! When we got home I was the one that would be unloading while he farted around in the way….again, like father like son….